I didn't make these camp chairs to begin with but over the last twenty years that I have used them every piece has been replaced except a few of the seat slats and the two main uprights. These chairs are handy for about any camping, fishing, or just sitting around in the backyard. 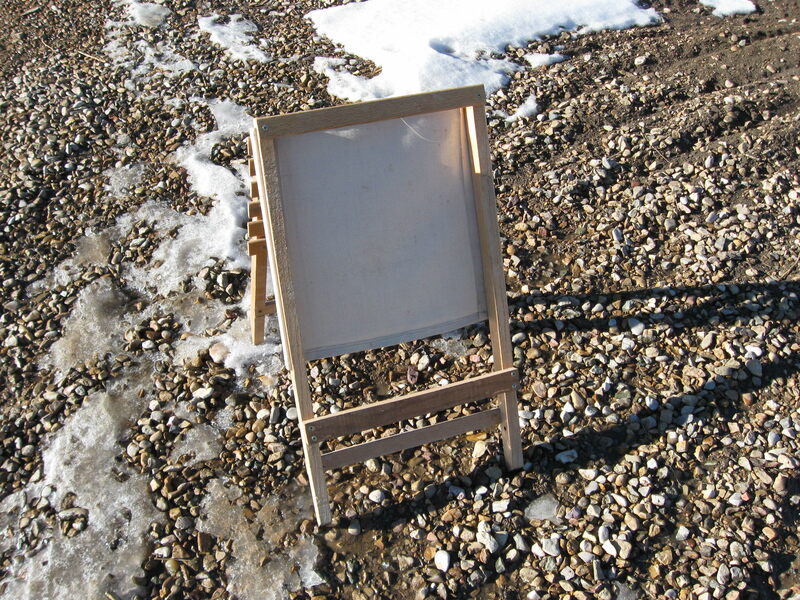 They are light, store in a small amount of space, and if you put shoulder straps on the uprights you can make a pack board out of them. If you look on the internet you can find these with solid seats instead of slats, solid backs instead of fabric, made from two pieces of plywood, and a few other different styles. 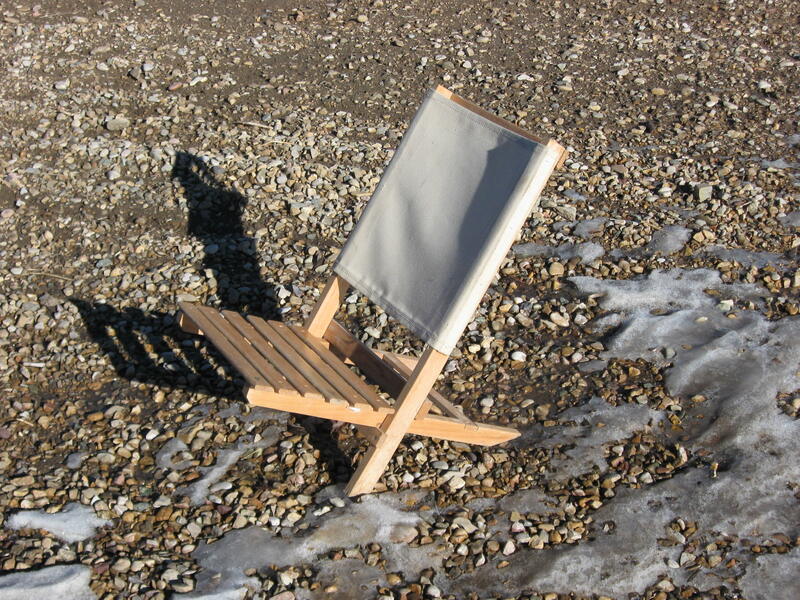 One site had a seat adapted to be used as a pack frame with the seat being in a fixed position. 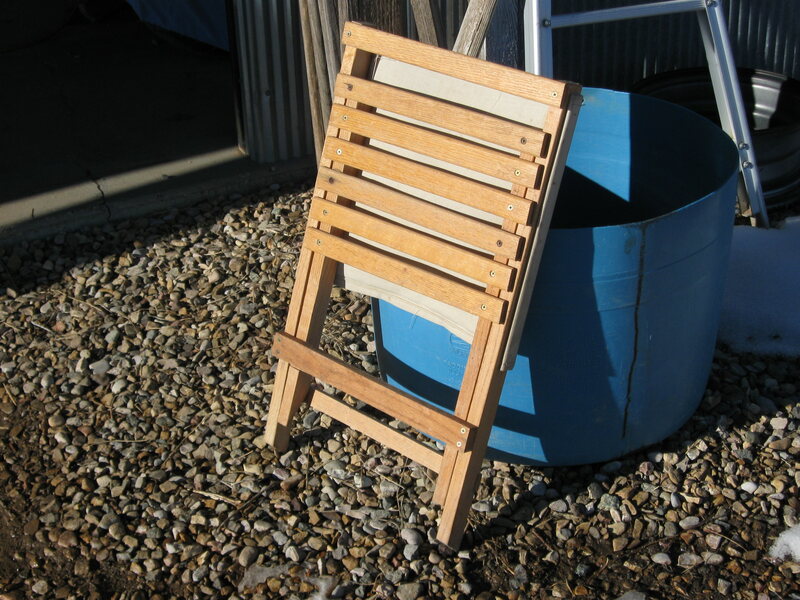 It is a versatile design and can be made from softwood, hardwood, aluminum, or pvc pipe. Mine are used primarily for hunting with my muzzleloading rifle during deer season and for any event where you sit around and watch something going on, like a parade. If you use a cross stick rifle rest you can make it the right height to use while sitting in this chair and keeping a low profile. This seat is made from oak hardwood and has a clear finish on it to help protect it from moisture. The fabric is a medium weight canvas and merely screwed into the uprights after wrapping a 1/4" slat with fabric. We have a pair almost exactly like that. We see a lot of those things, or variations of them, at many of the rendezvous we've been to.......lots nicer than sittin' on a log or a rock! Funny you posted that Stan. I'm almost done with one for Rendezvous. I'm making it to carry around to campfires in the evening and listen to music and stories. People usually put out a few if they are a popular camp, but having your own homemade stuff is satisfying. Kelly and I had 2 cloth ones for canoe trips and festivals. They have grown too old and fragile to use anymore. I'll post up pics of my version as soon as I finish it. I would really like to see it Tony. I am going to build another one just for sitting around the campfire. Don't know what it will be like yet. I have one like that that lives in my camper van, it's great for a quick sit down, I also have one of those accordian styled metal/nylon chairs, both are ok comfortable but the wooden folding chair is a lot quicker to deploy. I also have one of those three legged folding stools that has a leather saddle type seat that makes a dandy camp chair for short stretches, I been looking at backpacking chairs lately, they seem to be pretty neat, the only drawback for me is that most are built too low to the ground making it difficult to get up out of. 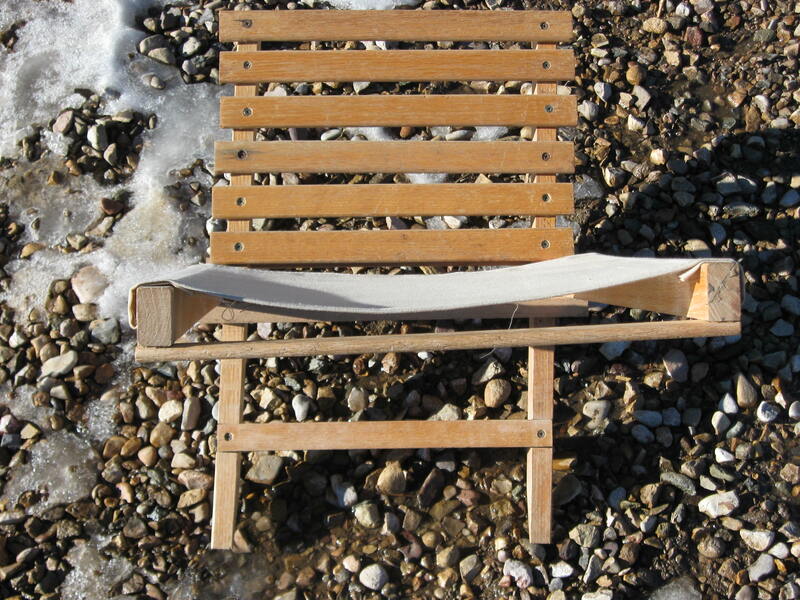 I had a pair of those tripod-saddle seats that I had my grandma sew together for our canoe trips. They were made from heavy-duty cordura nylon with pockets in each of the corners, but no tripod hardware that we had to carry over the portages. When we'd get to camp I'd just whip out a tripod using three pieces of firewood and the tripod lashing that we all learned in Boy Scouts.